We provide quality services to a diverse clientele in a cost-effective and timely manner. We assist our clients in acquiring, maintaining, enforcing and licensing their patents in the United States and around the world. We help our clients protect and enforce their copyrights through licensing and other contractual agreements, preparing cease and desist letters, negotiating settlement agreements, and advising on infringement litigation. We provide extensive counseling on all types of products around the world from the initial filing and throughout the life of the mark. 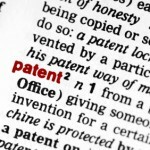 Kelleher IP is a full service intellectual property law firm located in New York. Our staff is uniquely qualified to help companies and individuals identify and protect their intellectual property. We provide quality services to a diverse clientele in a cost-effective and timely manner. The firm believes in analyzing and addressing the specific needs of our clients, with a view of developing and fostering a long-term relationship. This focus, along with our commitment, and ability to provide personalized attention distinguish us from our competitors. 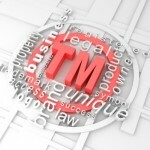 Our practice includes patents, trademarks, copyrights, trade secrets, and business start-ups. In addition, our firm also counsels clients on intellectual property related issues such as the right of publicity, domain names, franchising, software export regulations, joint ventures, technology transfers, and licensing. We also provide support for other attorneys by providing our expertise on a consulting, local counsel, or co-counsel basis. The firm’s clients are located throughout the United States and around the world. We are perfectly comfortable working by phone, fax, e-mail, and video conference with clients who will never physically be in our offices. We have represented many individual inventors and small companies, as well as large corporations such as General Electric (GE). Additionally, we have established a global network of associate firms to ensure responsive, cost-effective and quality services on an international level. Our staff is fully conversant with the legalization process for prosecution of intellectual property rights throughout the world.